MyFoam.ie - Shipping Container Homes - Good or Bad? Shipping Container Homes - Good or Bad? You may have read about the recently built container home in Ringsend, Dublin. It garnered some prominent media attention earlier this year; notably from The Irish Times. Container homes have already grown in popularity around the world. Bjarke Ingles has led the surge of container use in architecture, with his grand project for student housing in Denmark. He designed floating container homes for students based in Copenhagen, with great success. Over the past 10 years there has been a surge of interest in shipping containers, and their many uses. But why such a sudden surge in popularity? Well, you can pick up a decent shipping container for relatively cheap. Somewhere in the region of €1500 - €2500, depending on the size and condition. Furthermore, the containers are water proof, fire proof and extremely strong. They easily conform to building regulations. A building project using shipping containers is oftentimes much quicker than a conventional build. When using shipping containers, the walls, roof and floor are already in place. The Riverside Office Building used 73 containers to construct 24 office spaces. The containers were delivered and put in place over 16 days, and the construction was completed in 8 days. With their isometric shape, shipping containers provide a modern and pleasing aesthetic. They can be arranged in any way, shape or form. They are modern day building blocks. Estimates show that over half a million shipping containers are abandoned each year, never to be used again. 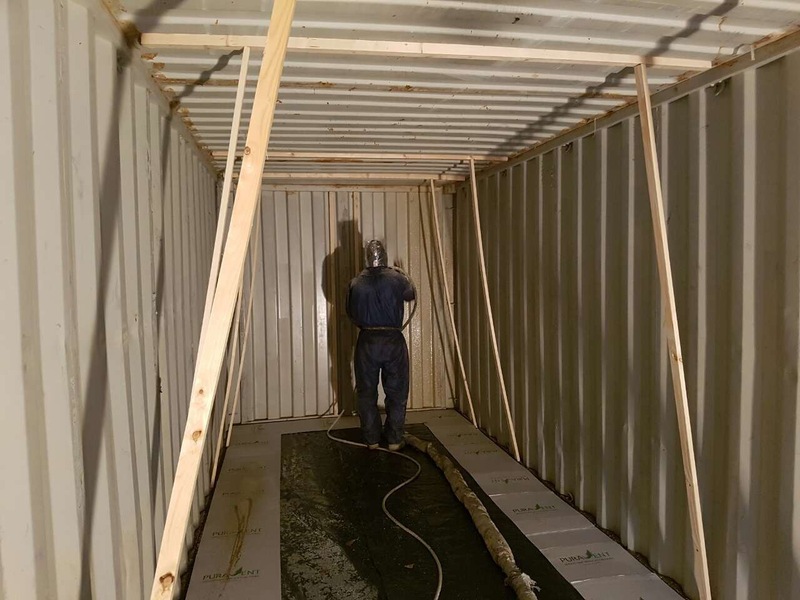 If you are interested in using shipping containers for any building purposes, make sure to get them properly insulated! 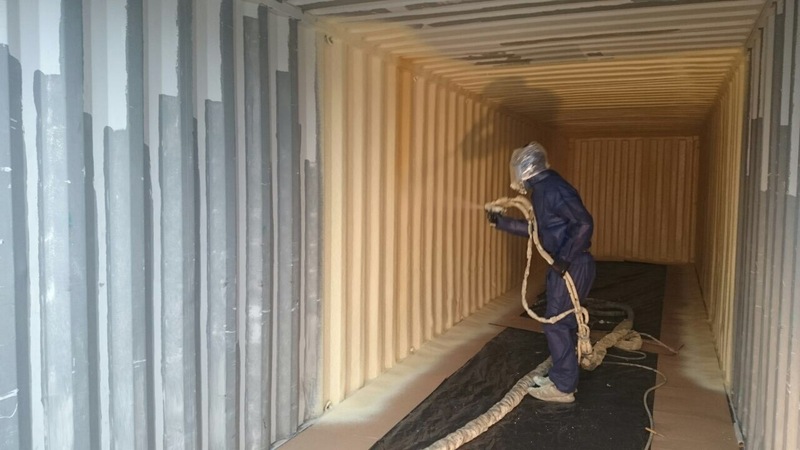 MyFoam supplied all insulation for the container home in Ringsend. We cater to storage containers too, not just homes! You can find samples of containers we have worked on here. 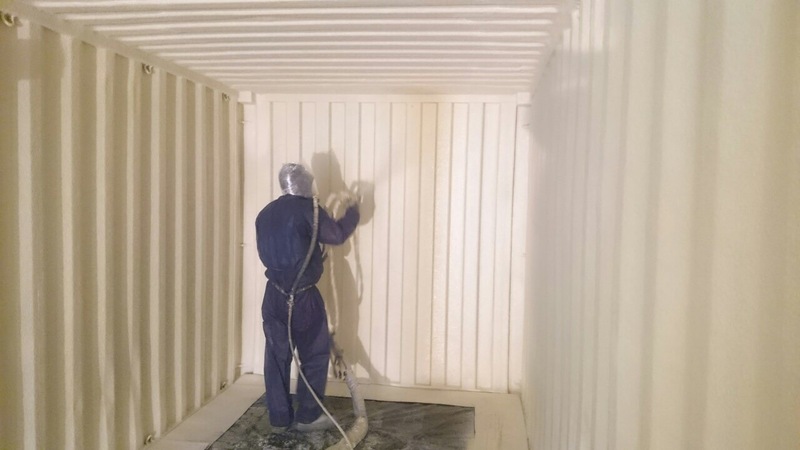 Make sure to freephone 1800 911500 if you have any queries regarding container homes, container insulation or just general spray foam insulation needs!